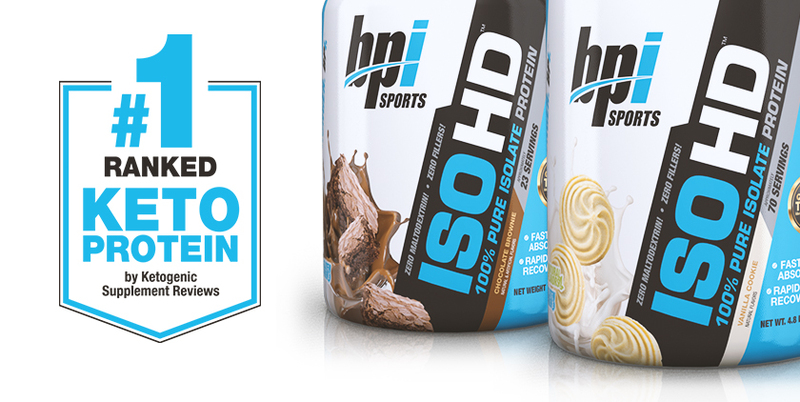 Recently, Ketogenic Supplement Reviews ranked ISO HD™ the best keto protein powder on the market! How did they decide? What factors did they consider? As they mention right off the bat, there are tons of companies offering a keto protein powder these days. However, most aren’t actually keto-friendly at all. For example, sweetened products may taste better, but the sweetener used usually increases the sugar content significantly. Many pre-made, flavoured shakes can contain up to 10g more carbs than unsweetened alternatives! You also need to consider absorption rates. Each protein is assigned a rating based on how easily your body is able to digest and utilize the nutrients in the product. The higher the score, the better it is. Look for supplements with whey, casein, and egg whites, which have high scores, vs. peas and hemp. These were just a few of the factors that contributed to ISO HD’s top-of-the-list rating. Ketogenic Supplement Reviews recommends adding natural, unflavoured collagen peptides, MCT oil or coconut oil to increase results, but ISO HD™ is also beneficial all on its own.